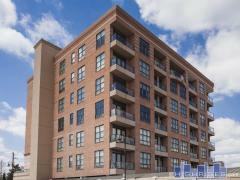 The Bristol is a recent condo conversion from Choice Condominiums. There are plenty of different floorplans available in a variety of price ranges, starting in the mid-$200s. This building has great terraces that make the most of the views of the Galleria area. Have any comments or questions about The Bristol? Ask your question and/or share your thoughts about this Building.